Prediction #1: Bryce Harper will meet the expectations set by his 2015 performance. Bryce Harper finally had the monster breakout that people have been expecting since he reached the majors at the age of 19. As we detailed here, that breakout doesn’t look like a fluke. While Harper may not quite reach the heights he did in 2015 (as we said, he put up a season for the ages), he’s easily on track for a 7+ WARWins Above Replacement. A stat that attempts to measure a player’s contributions in all facets of the game and quantify how many more wins that player contributed than a “replacement level” player would have (a replacement level player being a hypothetical “AAAA player” every team has in its farm system. season and another run at the National League MVP award. Harper’s peripheral stats show a meaningful change in approach and he’s definitely at an age where players set new bars for performance rather than hit career highs then regress. Even better for Harper, he’s likely to get more help from his Nationals teammates – if only because it’s almost impossible he’ll get less. The Nats lost Denard Span and Ian Desmond in Free Agency (and Desmond himself lost tens of millions of dollars), but both would have been bounceback candidates themselves (Span from injury, Desmond from the worst season of his professional career), so whomever replaces them will be hard pressed to provide less value. While his teammates won’t necessarily affect his advanced stats, his counting stats should see a boost from a better supporting cast. We’re expecting a wRC+Weighted Runs Created Plus: A comprehensive measure of offensive production relative to the league. 100 is average and each point above or below is a percentage better or worse than the average player. of around 175, which will likely be good enough to lead the NL again (though by a much smaller margin). Prediction #2: Yoenis Céspedes will disappoint Mets fans, returning to his pre-2015 form. My friends Ken & Ryan won’t be happy to see this prediction come true, but this definitely seems like one of easiest predictions to make. Céspedes had a classic “ripe for regression” season. He had a clear career year, particularly in his power stats, but without the peripheral changes that usually go along with a sustainable change. Céspedes had a HR/FBHomeRun to FlyBall percentage. A measure of how often fly balls turn into homeruns for that particular player. League average is usually between 10-11%. Most pitchers average between 9-12% for their careers while hitters have a much larger span, with power hitters reaching rates of 15-20% or more, and slap hitters averaging as low as 1-2%. A large deviation in this stat from a player’s career norm is a red flag that they’re either getting lucky or unlucky over the course of a specific season. ratio much higher than his career average (and twice his 2014 rate), and a BABIPBatting Average on Balls In Play. As the name suggests, this is the percentage of balls put into play (either by a hitter or by a pitcher’s opponents) that turn into hits. League average BABIP is about .300 and when a player is deviating from their career average by a significant amount, that’s often a red flag they’re getting either lucky or unlucky over the course of a single season. 20 points above his career average. His O-Swing%Swing rate on pitches outside the strike zone. was actually higher than his career average (and his highest ever) and his Z-Swing%Swing rate on pitches inside the strike zone. was lower (also his career low) – generally swinging at more pitches outside of the zone and fewer within is not a formula for long term success. Not surprisingly, swinging more at more pitches outside the zone contributed to Céspedes posting the lowest walk rate of his career (bottom 20 in the MLB among qualifying hitters). A hitter having a career year driven by jumps in BABIP & HR/FB rate, without accompanying changes in other peripheral stats? The magic eight-ball says “Regression Likely.” Expect Céspedes to be a 3 WAR player, posting a wRC+ of 110-115, and a slash line around .265/.315/.480, with 25 HR & 100 RBI (in a good Mets offense). That’s a player that’s roughly worth the $20m he’s making this year (though not the $27m he’s making in 2017 & 2018), but that’s not the monster that many Mets fans saw help them to the World Series. This is the prediction that probably has the greatest chance of making us look foolish. Greinke is good, he’s very good…he’s just not as good as his basic stats made him look last year. Here are Greinke’s rate and advanced stats for last year and the year before – see if you can tell which is the year he had the lowest ERA in the past 20 years and which season he finished 13th in MLB, behind Jordan Zimmerman, Doug Fister, and Henderson Alvarez (among others). Well, that sure makes it easier to figure out, doesn’t it? Two virtually identical seasons, except in one he had a HR/FB and BABIP higher than his career averages and in the other he had rates way below his career averages. In fact, Greinke’s BABIP was almost 40 points below his next lowest season (his rookie year, in 2004). Greinke, like most pitchers, definitely loves the warm embrace of Chavez Ravine. Dodger Stadium is one of the best pitcher’s parks in the majors (roughly 5th or 6th best), sporting a Park Factor of 95 (100 is neutral, higher is better for hitters, lower is better for pitchers). Greinke, however, is now pitching half his games in Phoenix and the Diamondbacks’ home boasts a park factor of 104, 4th highest in the majors. Add going from one of the best pitchers parks to one of the best hitters parks to a stat line ripe for regression, and Greinke is going to look a lot more average than he has in Los Angeles (on the surface, at least). Greinke’s a longstanding fan of advanced stats like FIPFielding Independent Pitching. A measure of the events “under the pitcher’s control” (HR, BB, Ks, HBP) that attempts to remove the influence of team defense – whether good or bad – on the pitcher’s stats. It is scaled like ERA, so a “good” ERA number is also a good FIP score., 2016 is probably the year he starts to appreciate league & (especially) park adjusted stats as well. The Chicago Cubs were an excellent team last season. By run differential, they were the 5th best team in MLB and the 3rd best in the National League. They had the best starter FIP-Adjusted Fielding Independent Pitching. 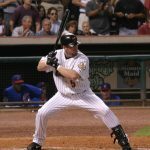 A measure of the events “under the pitcher’s control” (HR, BB, Ks, HBP) that attempts to remove the influence of team defense – whether good or bad – on the pitcher’s stats. It is then adjusted for park effects and related to league average FIP. 100 is league average and every 1 point deviation from 100 is a percentage point better or worse than league average. E.g., an FIP- of 90 means the pitcher’s FIP was 10% better than league average, and an FIP- of 110 means it was 10% worse. in the majors, the 4th best reliever FIP-, and the 9th best team DEFDefensive Runs Above Average. 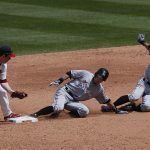 A stat that attempts to measure a player’s defensive contributions, including a positional adjustment (i.e., a shortstop is considered more defensively valuable than a LF). Roughly 9-10 DEF is equal to one Win Above Replacement.. On top of all that, they’re incredibly young, with the highest position player WAR and the 4th highest overall WAR from players 26 and under. Teams that are young & good are dangerous, and what did this young, good and dangerous team do this offseason? They signed the best free agent position player (and maybe best free agent overall) in Jason Heyward, signed a veteran super-utility who in the four seasons prior to last had the 5th most fWARWins Above Replacement as calculated by FanGraphs. A stat that attempts to measure a player’s contributions in all facets of the game and quantify how many more wins that player contributed than a “replacement level” player would have (a replacement level player being a hypothetical “AAAA player” every team has in its farm system. in MLB (and even counting his off-year in 2015, had the 10th most fWAR over the past five seasons) in Ben Zobrist, signed a division rival’s most productive pitcher (John Lackey), and placed a big ol’ bullseye on their back at which every other NL team will be taking aim. The Cubs led MLB in fWAR in 2015 and, between free agent upgrades and player development, they are likely to exceed their 2015 levels. It’s very easy to predict they’ll be the best team in baseball unless something odd happens. So why are we also going to predict that they won’t win the World Series? Because the vast majority of the time, the best team doesn’t win (they obviously have the best chance to, though). Heck, the regular season is random enough that even if it were expanded to 1000 games, the best team statistically would end up with the best record only 54% of the time. The playoffs only amplify all that, so we’re predicting that the breaks break away from the Cubbies rather than toward them. This one hurts. I really want to believe the Tigers can win the World Series, and it’s obviously not without question (there’s still a lot of talent on the team), but most evidence suggests that the team has failed to fully capitalize on the prime years for Miguel Cabrera and Justin Verlander. The Tigers were bad last year. After years atop the AL Central and four straight division titles, the Tigers went from first to worst in 2015. On top of that, they were probably pretty lucky and their run differential suggests they weren’t even as good as that last place record suggests. 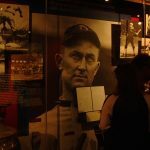 The Tigers are a team that (like the Phillies at the turn of the decade) are aging, top heavy, and have plundered their farm system while handing out gigantic contracts to stars that are now past their prime. They’re in bad shape. Dave Dombrowski pulled off his final acts of magic before leaving town when he turned 3 months of David Price, Yoenis Céspedes, and Joaquin Soria into a handful of very good prospects, and new GM Al Avila is hoping he used owner Mike Ilitch’s checkbook to good effect, but it’s probably too little too late. Jordan Zimmerman is a solid middle of the rotation guy, but he’s no David Price. Justin Upton is a good addition (consistently a 3-4 fWAR guy and one of the top-15 OF over the past five years), but he largely replaces the production previously provided by Yoenis Céspedes. The Tigers continue to shuffle cards in the bullpen, hoping to find someone who won’t cause heartattacks, but nothing special happened there. Everyone else is a year older, and most people on the roster are on the wrong side of their peaks. 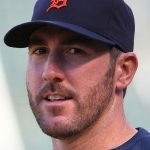 If Verlander’s apparent return to form at the end to 2015 is genuine, and if Victor Martinez returns from injury to be a top hitter, and if Miguel Cabrera and Anibal Sanchez stay healthy, and if J.D. Martinez continues his upward trend, and if Justin Upton plays to his talent, and if Jordan Zimmerman and young Daniel Norris live up to expectations, and if Ian Kinsler defies aging one more year, and if one young player steps up to contribute (Steven Moya, finally? ), and if the bullpen isn’t a dumpster fire again…then, we could see the Tigers finally deliver the championship Ilitch craves. That’s a whole mess of “if” though, and even one or two of those wheels come off, the Jays, Royals, Astros, and Cleveland are all likely to be too good to overcome. Maybe the most risky of our predictions, if only because we’ve only seen two teams reach 100 wins in the past five seasons. So why are we predicting that a team that only won 87 games – and didn’t even win their division – is going to jump to 100 wins in 2016? Several reasons. 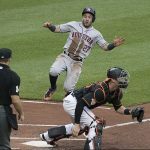 One, the Astros were the best team in the AL West in 2015 – they didn’t win the division because they were very unlucky and the Rangers were very lucky. By run differential, the Astros played more like a 93-win team and the Rangers like an 83-win team. Two, the Astros are young and getting better. They received the 2nd most position player WAR and the 5th most WAR overall from players 26 and under. And that was in a season where they only received 201 games total from wunderkinder George Springer and AL RoY, Carlos Correa. A full season of both in 2016 is worth two or three WAR on its own. Couple that with the reigning AL Cy Young award winner (and his formidable beard), and you’re looking at a team ready to explode. What’s more, the Astros divisional rivals (against whom they play 47% of their games), have either stood still or are likely to regress. 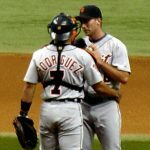 As we said above, Texas wasn’t as good as their record in 2015 and, despite their addition of Cole Hamels, they made no significant moves in the offseason and are one of the oldest teams in the majors, receiving 40% of their 2015 WAR from players 32 and older (3rd in MLB) while receiving only 25% from players 26 and younger (6th lowest in MLB). The Rangers are a win-now team that isn’t good enough to do that (they’re probably a season or two from the Tigers’ situation mentioned above). 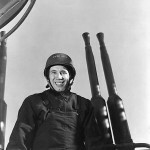 The Mariners are similarly built and maybe in worse shape – 51% of 2015 WAR came from players 32+ (most in MLB) and only 14% from players 26 and under (2nd worst). That’s very bad for a team that was well under .500 in 2015 and which didn’t get significantly better in the off-season. 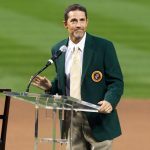 The Angels continue to squander the best player in baseball by surrounding him with mediocre talent and relying on Jered Weaver’s high school pitcher fastball, and the Athletics seem to have run out of Billy Beane’s magic pixie dust (at least temporarily – we honestly wouldn’t be surprised if the A’s rebound to 90 wins this year, Beane is just too good and spinning straw into gold). The Astros’ upward trend coupled with the weakness of their division will spell the Astros separating from the AL West pack as they siphon wins from the Angels and Rangers, both of whom will sink to .500 (or potentially below, in the case of the Angels). Some of these predictions have to be straightforward, right? Seager hit the majors at the end of last season and boy did he hit it hard. In 27 games Seager slashed .337/.425/.561, hit 4 homeruns, scored 17 runs, 17 RBI, had a wRC+ of 175, and contributed 1.5 fWAR. Obviously that’s a small sample size, but over 150 games that extrapolates to 8 fWAR season with 22 HR, 94 R, 94 RBI. Let’s say he produces at roughly 75% that rate (though even that’s obviously not a given), we’re looking at something like .310/.380/.500, with 17 HR, 70 R, 70 RBI, a wRC+ of 140ish, and 4-5 fWAR. That’s an All-star and a RoY lock. A more conservative line would be .285/.350/.450, 125-130 wRC+, 3.5-4 fWAR, still damn good. 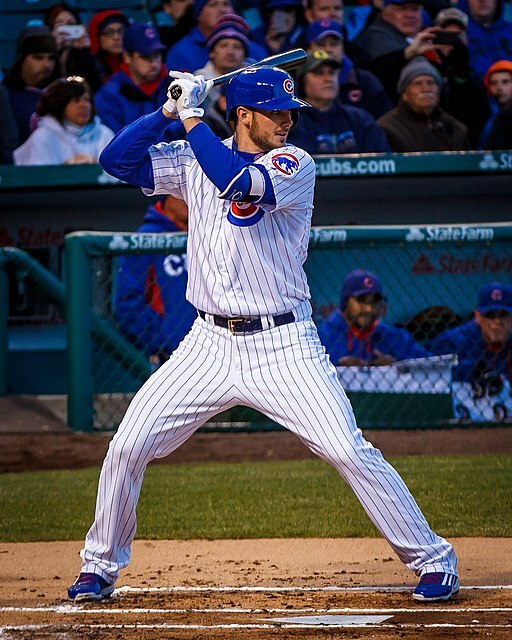 This season, unanimous RoY selection Kris Bryant posted a .275/.369/.488 slash line with 26 HR, 87 R, 99 RBI, a 136 wRC+, and 6.5 fWAR. If Seager can follow up with a full 2016 anywhere close to his torrid 2015 debut, we’ll have a second unanimous NL RoY. Making this an even easier prediction? Seager only really has one legit competitor on the horizon: the Mets’ Steven Matz (their fourth great young pitcher – isn’t there a rule against that or something?). If Seager sniffs his 2015 preview, it won’t be close. Mike Trout has been in the majors for four full seasons. In those four seasons he’s averaged almost 9.5 fWARWins Above Replacement as calculated by FanGraphs. A stat that attempts to measure a player’s contributions in all facets of the game and quantify how many more wins that player contributed than a “replacement level” player would have (a replacement level player being a hypothetical “AAAA player” every team has in its farm system. per season. 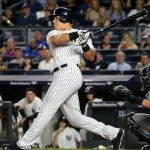 The only other players to have a 4-season stretch like that (at any age) are Ruth, Cobb, Hornsby, Gehrig, Mantle, Williams, Wagner, Mays, Foxx, Bonds, and Joe Morgan. In those four seasons he’s had a wRC+ of 171; only five players in history have a career wRC+ higher (Ruth, Williams, Gehrig, Hornsby, Bonds). For added flavor, Trout has done this in his first four seasons in the league. In those four seasons, he has received exactly one MVP trophy. Ironically, he received his MVP in 2014, the season which was his *worst* in the majors by most measures. Of those four seasons, in only one was he not the clear cut best player in the American League (he and Donaldson were neck-and-neck last year). Our prediction is that Trout will once again be the best player in the AL, but once again be denied the award. Expect something like .305/.400/.580, with 35 HR, 105 RBI, and 25 SB (He’s said he wants to run more), with a wRC+ of 170ish, and around 9 WAR. Our bet for who snakes him for the award? A media-friendly dark horse on a division winner, maybe Mookie Betts or even Donaldson again if the Jays get close to 100 wins and the Angels hover near .500, 10+ games behind the Astros. As as we discussed (and accurately predicted) here Clayton Kershaw was the best pitcher in the National League (and MLB, for that matter) in 2015. However, Jake Arrieta was only a bit behind him and since everyone’s just a little tired of giving Kershaw the Cy Young, and because his W-L record wasn’t as gaudy as his other stats (due to poor run support), Arrieta won the Cy Young. This season, Kershaw will once again be the best pitcher in the National League (and probably MLB, for that matter). However this year, it’s far less likely he’ll experience the bad luck he did with run support. Despite the Dodgers’ bats going silent when Kershaw pitched, the Dodgers actually had a great offense with some fluky luck. They finished 3rd in MLB in wRC+ but only 19th in runs scored. The #4 team in wRC+, the Astros, finished 6th in runs scored. In 2014, when the Dodgers finished 2nd in wRC+, they finished 6th in runs scored. The #3 team in 2014, the Angels, finished 1st in runs scored. Such a disparity between wRC+ and runs happens, but it doesn’t happen often. Expect the Dodgers to put a lot more runs across the plate in 2015, and expect Kershaw to add 3-5 wins to his 2015 total because of it. The other reason he’ll win (other than he’s just that much better than everyone else)? The folks who came closest to him in 2015 will likely fall away. We’ve already looked at Greinke and how the desert air will treat him. Max Scherzer has the stuff to make a run, but he turns 32 this season – he came up well short in 2015, it seems unlikely that another year on the wrong side of 30 will help him make the jump. Arrieta more likely regresses than sustains, simply because that’s usually most likely – his lack of a track record makes him a wild card though. 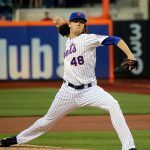 The Mets have a trio of wild cards, particularly the two youngest arms, deGrom and Syndergaard – they both have electric stuff and are young enough that it’s hard to predict how they’ll build (or not) on last season. Divisional rival Madison Bumgarner has a shot, but he’s probably established his expected marks and will need a career year to challenge the standard that Kershaw’s set the past five seasons (2015 was Bumgarner’s best season ever and it was still behind Kershaw’s worst over the past five). The reality is that we’re getting to watch a pitcher who is head-and-shoulders above his competition and who is consistently performing, relative to the league, on a level akin to Pedro, Maddux or the Big Unit. And, unlike Mike Trout, the voters seem willing to recognize that fact (even if they are a bit tired of it). ← MLB Off Season: AL West – The Best Move (and a plan B) for every team. 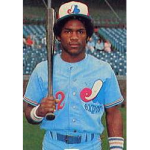 Burning Question: Who was the Most Average Major League Player of All-time? 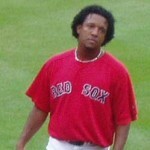 Pedro Martinez – The Most Dominant Pitcher Ever?